November 6 — the looming date of this year’s midterm elections — is rapidly approaching. In case you haven’t seen the incessant social media campaigns and floods of flyers circulating campus, College Democrats, College Republicans and everyone in between really, really want you to get out and vote. Voting was, is and always will be an important duty and right of American citizens. 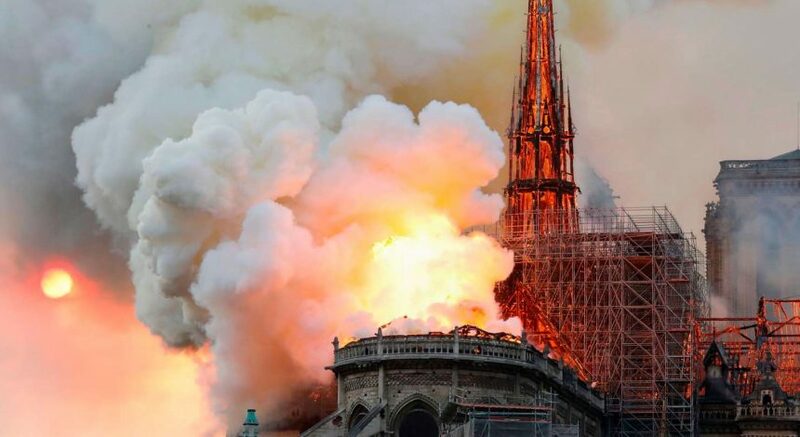 However, only 58 percent of Americans showed up at the polls in the 2016 presidential election, a significantly lower portion of the population than the 62 percent of Americans who voted in 2012, or are somehow prevented or dissuaded from doing so. In Wisconsin, 66 percent of eligible voters cast a ballot in the 2016 election, which is above the national rate but still the lowest turnout reported since 1996. For midterm elections, voter turnout decreases drastically. 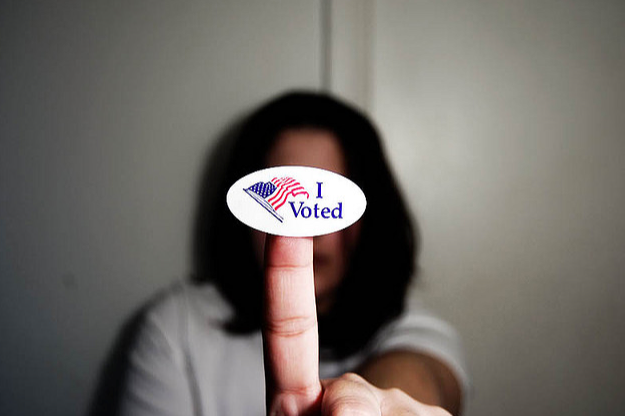 In the 2014 midterms, only 36 percent of Americans voted. While once again Wisconsin boasted a better turnout — around 56 percent — it was one of only 14 states that saw their turnout increase. 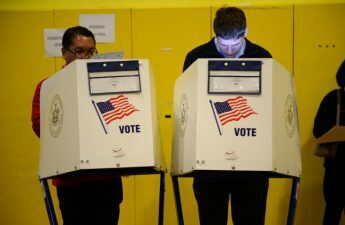 The other 36 states saw a drop off in their turnout of as much as 27 percent in places like Missouri and Washington. So the moral of the story, at least nationwide, is that people aren’t voting. At the University of Wisconsin, an institution with a rich history of political activism and engagement, the numbers tell us a similarly troubling tale: students aren’t voting either. In 2016, 48.8 percent of students at UW voted in the presidential election, a decrease of 4.3 percent from 2012 coming in just below the national average of 50.4 percent. Not only is the number of students who actually vote decreasing, but so too is the number of students registering to vote. In 2016, while both enrollment and the total number of eligible voters increased at UW, the number of students registered to vote decreased by more than 2,000 students, and the registration rate by seven percent. Although the decline in registration rates and voter turnout at UW is troubling, it should not be surprising. In 2011, Republican Gov. Scott Walker and the Wisconsin Republicans enacted Wisconsin Act 23, which required a valid form of identification in order to vote in state and federal elections. These forms of identification include a valid driver’s license, a passport, a military card, some university identification cards and several others. 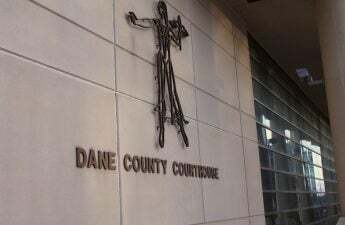 Because of almost immediate legal action from individuals and the American Civil Liberties Union, the Wisconsin law was not applied to the 2012 presidential election nor was it enforced for the 2014 midterm. A federal appeals court ruled in favor of the law in 2015, meaning that the 2016 presidential election was the first major test of the law. The new voter ID law played a major role in the decrease in voter turnout in the 2016 election. 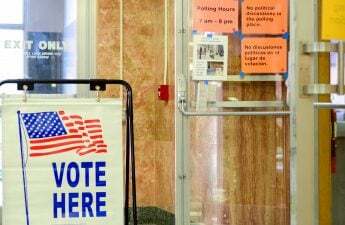 UW political science professor Kenneth Mayer estimated that between 11,700 and 23,000 people did not vote in 2016 because of confusion over voter ID requirements or because they lacked proper identification. 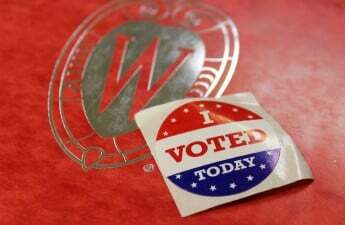 Among the thousands of Wisconsin citizens unable to vote or deterred from doing so were UW students. Looking ahead to next month’s midterm election, the picture painted for students looking to vote is a bleak, confusing conglomeration of hard-to-find information on accepted forms of identification and seemingly endless hoops to jump through. For in-state students who have a driver’s license with their current, student address listed, you’re good to go. However, the likelihood that a license reflects the address of an apartment most students moved into about two months ago is relatively slim. To change the address on your driver’s license, a trip to the DMV is required. The closest DMV is a 15 minute drive from campus. But the regulations for voter registration require a current address, so a current address is what students must provide. In the online Student Center under “my grades,” students are able to change their address to their current residence within the university’s system by clicking on “voter enrollment verification.” The university then generates an official document which students can present along with a driver’s license that lists a different address as proof of that student’s current residence. At this point, registration is complete, and in-state students with a state issued driver’s license or identification card are set to vote on Election Day. For out-of-state students or students who do not have any state-issued form of identification, even though voter registration is complete, the problems persist, as students will need to present a voter-compliant ID card at the polls to collect a ballot. Although the Wisconsin Voter ID law theoretically considers university-issued student ID cards valid identification at the polls, Wiscards cannot be used as valid voter ID. In fact, only four out of the thirteen four-year universities in Wisconsin issue student identification cards that are compliant with the Voter ID law. This throws a wrench into the plans of any out of state student who is planning to vote in Wisconsin, or students who lack another form of ID and were planning on using the Wiscard as their identification come November 6. UW does offer a voter-compliant identification card free of charge, which is only used for voting. Students can obtain said card at the Wiscard office in Union South, which is open from 8:30 to 5:00. Once a student obtains this card, they must then register to vote in Wisconsin. Come election day, students using the university-issue voter identification must provide proof of enrollment to cast their ballot. For a myriad of reasons, the laws surrounding voter registration and voter ID make the voting process more difficult and confusing than need be for students. Information about how to vote, when to vote and what forms of identification are needed to vote is spread across various websites. Providing more information are student organizations on campus who, while well intentioned, may not be able to provide detailed or nuanced information necessary for each student looking to vote. Certain forms of ID are acceptable while others are not. The Wiscard, a form of ID which almost every student at UW has, somehow fails to meet the criteria for a valid photo ID under the law. Aside from the problematic procedural hassle of obtaining the correct form of identification, the goal of the government and of its laws should be to encourage voter turnout, not discourage potential voters from participating in elections. Students enrolled in classes, working jobs, participating in student organizations and trying to maintain some semblance of a healthy social lives are discouraged from voting when they find out that no, they cannot just show up to the polls and vote for their preferred candidate. Instead, there awaits a seemingly mile-long checklist of documents and IDs to obtain before Nov. 6. Getting students to go to the polls in the first place is difficult enough. Forcing students to find time prior to election day, nestled in the middle of exam and essay season, to get an arbitrary extra form of identification to then go vote in November, as shown by the decrease in voter turnout and voter registration at both the state and university level in 2016, is not an effective or necessary means of encouraging political participation. Voting is a right and a privilege which Americans are lucky to exercise. It allows for participation in our democracy and the election of officials who (hopefully) attempt to hear the voices of their constituents. When we go to the polls to vote, it should not have to be with numerous IDs and documents in tow and with fingers crossed that we understand the identification card instructions well enough to meet the requirements of an unnecessary Voter ID law.